Vaccines are hot in cancer research right now and a mesothelioma vaccine treatment is part of this new scientific effort. We’ve found a new mesothelioma vaccine treatment study now recruiting participants. The study is under the auspices of the federal government’s prestigious National Cancer Institute headquartered outside of Washington D.C. in Bethesda, MD and simultaneously being conducted at top cancer centers across the United States. One of them is the Comprehensive Cancer Care Center at the University of California San Francisco. Most of the vaccines we get throughout our lives seek to prevent serious diseases by injecting just enough of a disease to trigger immunity without making us actually sick. Cancer vaccines, including this new mesothelioma vaccine being tested, work a little differently. They aim not to prevent but to treat cancer already present. The immune response triggered by the vaccine helps by destroying tumor cells. For this specific mesothelioma vaccine, a bacteria known as Listeria will be the active agent. It is named after Joseph Lister, an English doctor who pioneered sterile surgery. 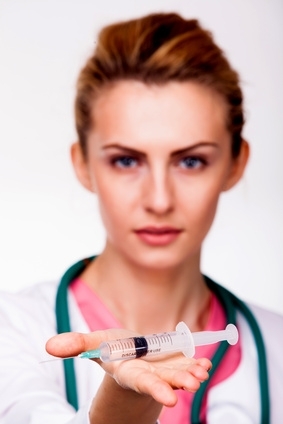 Participants may receive maintenance doses of the mesothelioma vaccine at follow-up visits. Purpose To evaluate the safety and immune response of the cancer vaccine CRS-207 followed by chemotherapy. CRS-207 is a weakened form of Listeria monocytogenes that has been genetically-modified to reduce its capacity to cause disease, while maintaining its ability to stimulate potent immune responses. This trial will evaluate whether giving CRS-207 cancer vaccine with chemotherapy will induce anti-tumor immune responses. Primary Outcome Measures Number of patients reporting any adverse reactions; immune response to mesothelin measured at multiple times.